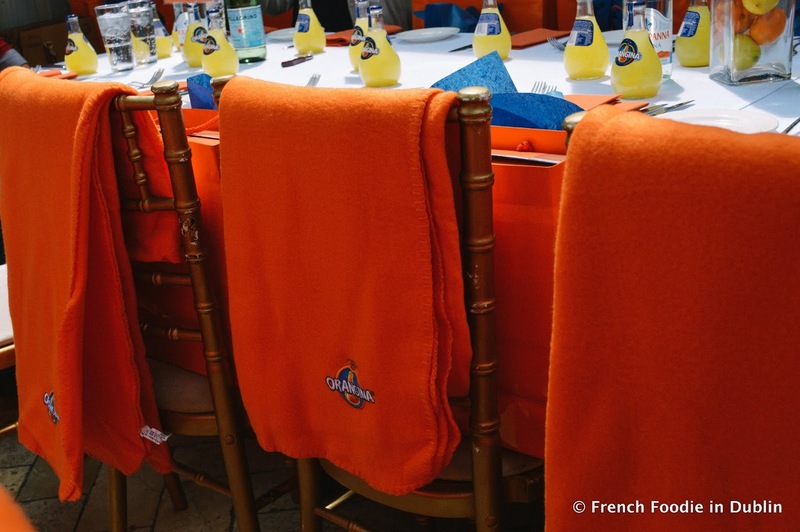 Oh la la... Orangina is back! 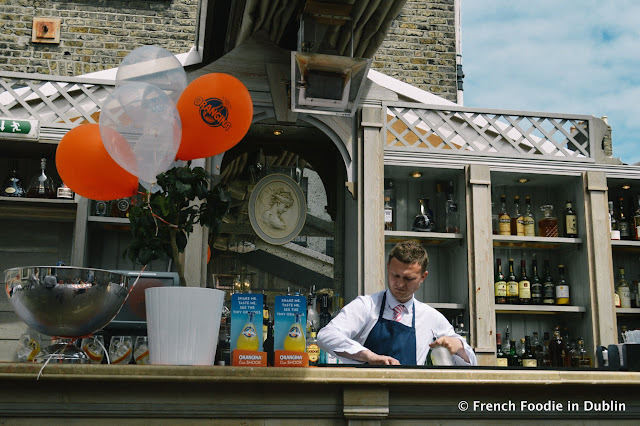 Last year when I discovered they sold bottles of Orangina in a convenience store next to Pearse Station, my guilty pleasure was to grab one and enjoy it in the sunshine in Merrion Square. It brought me back to a time when I spent my afternoons by the beach, during my summer holidays. 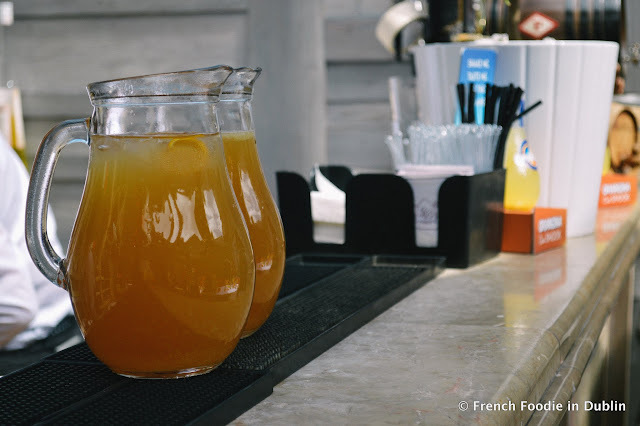 I remember my dad giving me a 10 francs coin (if I recall correctly) to buy an Orangina at the little wooden hut where ice-cream and snacks were sold. I also remember in high school when we all knew the words to the Orangina TV ads by heart. 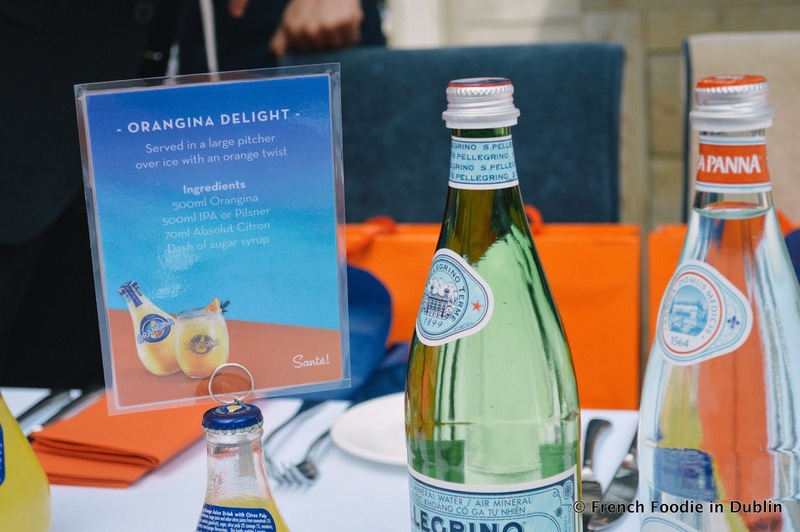 As a French lady with fond Orangina-related childhood memories I was pretty excited to receive an invitation to the relaunch of Orangina in Ireland, held at the Residence Club in Dublin. 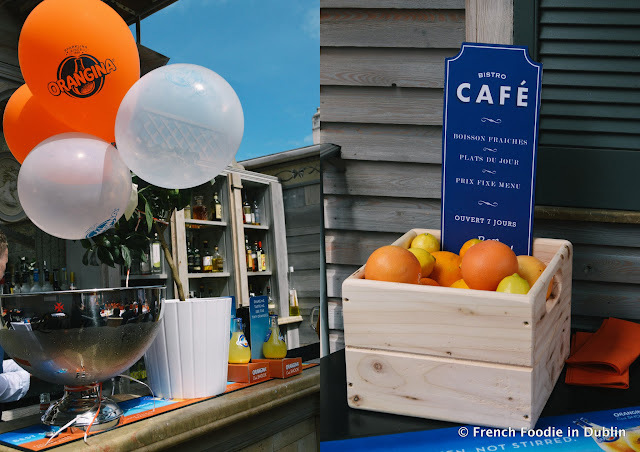 The event took place in the Behan Lodge which is a beautiful venue with a retractable roof, the sun was shining and we got to enjoy an alfresco lunch. Lisa O'Doherty sommelier at the K Club led a tasting during which we looked at, smelled and tasted Orangina like you would with any fine wine. 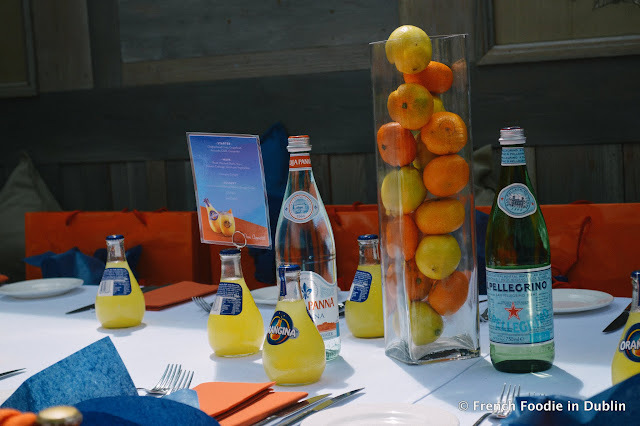 We then enjoyed a summery lunch served with Orangina & Orangina cocktails. 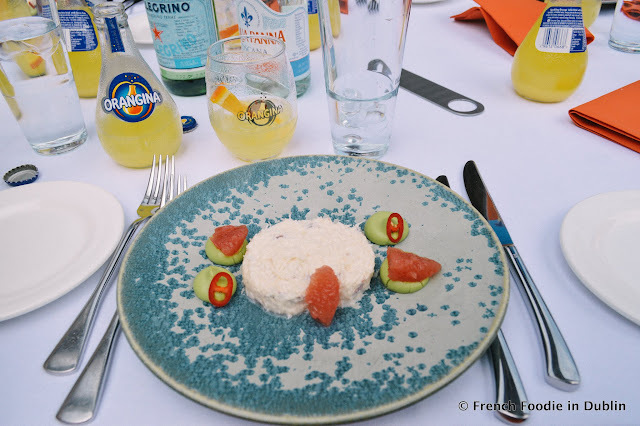 The regular Orangina drink was served with a light starter of Clogherhead crab, grapefruit, avocado, chili and coriander. 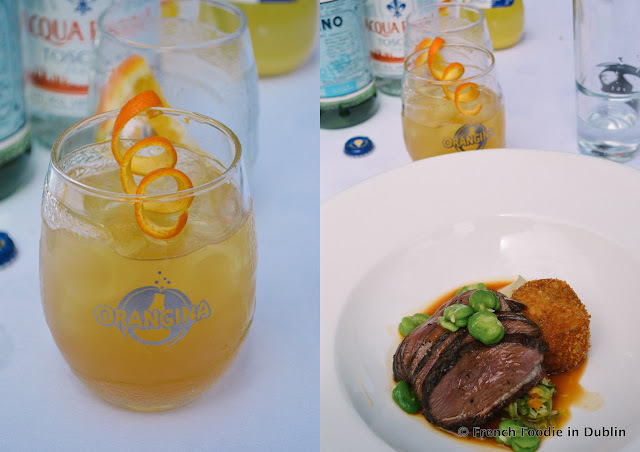 We then tasted and enjoyed an interesting 'hoptail', a beer based cocktail (recipe on the photo below) which was served with the main course of roast moulard duck, yuzu, garden cabbage and heirloom vegetables. Duck being my favourite meat of all I particularly enjoyed this course. We rounded off the meal with a dessert of lemon cream cheese and blood orange sorbet washed down with an Orangini (half prosecco / half Orangina). I never thought of Orangina as a mixer for alcohol drinks, having mostly drank it during my childhood but I will definitely give it a go in future. Needless to say I'm happy to share the news of the return of Orangina to Ireland. I know all the French expats out there will be delighted to find it in convenience stores but also cafés and restaurants all over Ireland. Mr. FFID has tried to convert me to another orange fizzy drinks over the last 10 years but all he got was a gallic shrug. I love it as it reminds me of summer in France and it's not too sweet. You can take the girl out of France but you can't take France out of the girl, welcome back Orangina! Disclaimer: I was invited to this event free of charge and I gave no undertaking to write an article. I was not paid to promote Orangina and, as always, the above opinions are my own.